HMH Books for Young Readers, 9780547902005, 40pp. 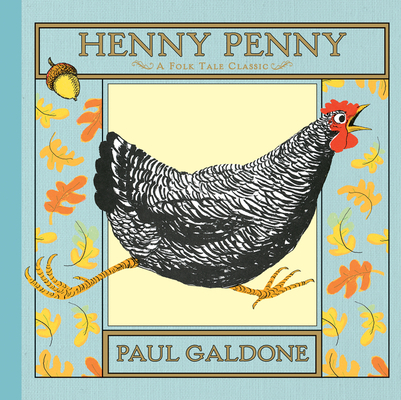 Another popular retelling by Paul Galdone joins the Folk Tale Classics series! Convinced the sky is falling, Henny Penny and a band of gullible friends march off to tell the king, only to meet their end at the hands of a wily fox. With its tongue-twisting rhymes, rich illustrations, surprising ending, and beautiful gold foil cover accents, this funny read-aloud will make a great addition to any child's library of classics.